To those of you who frequent my website, this post might seem a little out of your interest, but this post is for you. I want you to be excited about what’s happening right now, what it means for the future of spaceflight, and how today’s technology is fulfilling 1950’s sci-fi imaginations. 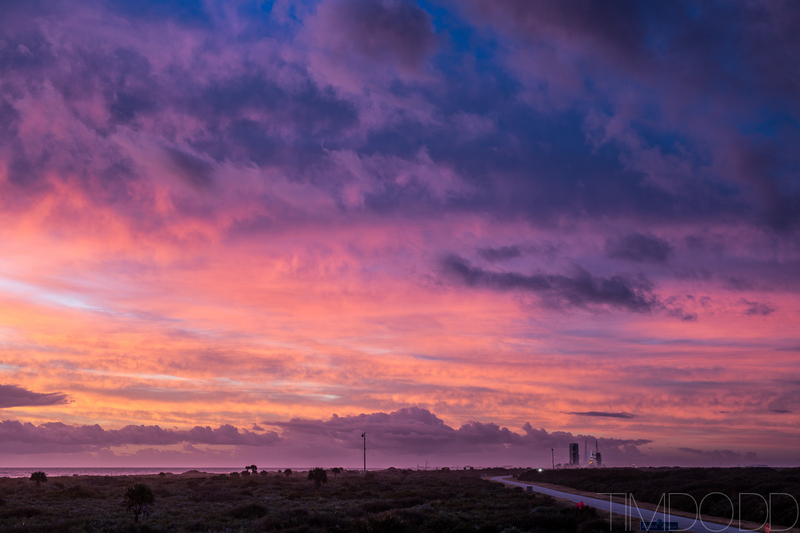 Sunrise the morning of Orion EFT-1, December 4th, 2014. You don’t have to go far in my portfolio to witness my recent obsession with space. Whether it be my Everyday Astronaut series (Instagram), seeing pictures from one of the four launches I’ve attended in the past year, or just seeing me on the streets wearing NASA shirts every day, it’s pretty obvious. But why now? The space shuttle is gonzo, the United States is buying seats for their astronauts from Russia, and the Orion/SLS program really has nowhere to go. But here’s why: we’re at a huge turning point and things are about to get AWESOME. 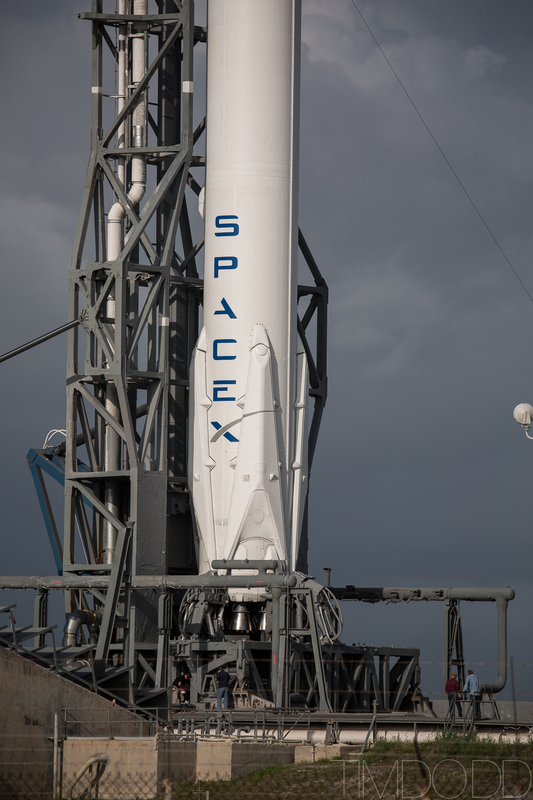 SpaceX’s Falcon 9 v1.1 with landing legs CRS-3, 2014. Those HUGE things on the sides are deployable landing legs. If you haven’t heard of Elon Musk and his crazy rocket company, SpaceX, welcome to 2015, you’ve been asleep for the past 10 years. His 12 billion dollar rocket company is currently on contract with NASA, sending supplies up to the international space station (ISS). SpaceX also won one of two contracts to send US astronauts up to the ISS in 2017. It’s a pretty big deal that a private company is doing what used to take entire nations. 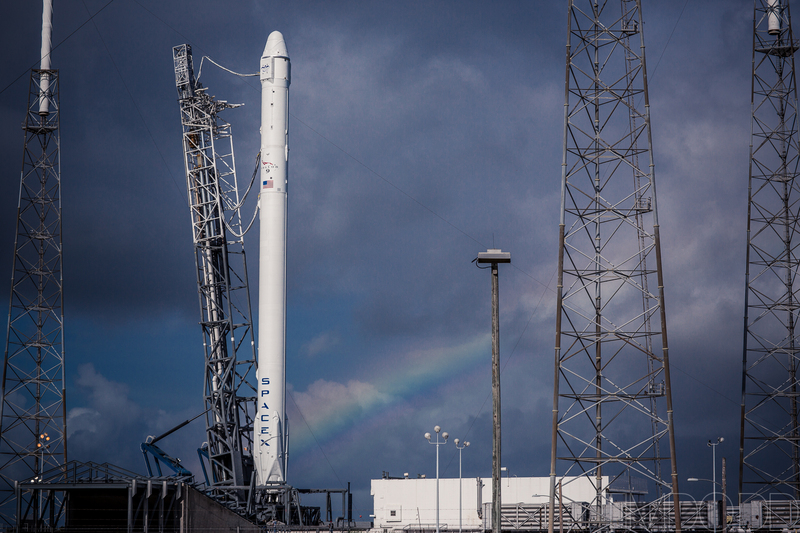 SpaceX Falcon 9, CRS-3, April 18th, 2014. But here’s where it’s about to get crazy…. They’re attempting to land the first section of their 20 story tall Falcon 9 rocket vertically on a huge boat in the middle of the Atlantic ocean. Why is this important? If you’ve ever wondered why space exploration is so expensive, it’s because every traditional rocket ever flown (not the Space Shuttle) is discarded in the Atlantic ocean. That makes spaceflight extremely expensive. Elon Musk compares it to throwing away an airplane after each flight. If that were the case, no one could afford to fly today. January 14, 2015, SpaceX made their first attempt of landing on their Automated Spaceport Barge Ship (ASDS). It sadly got misconstrued by the media as a crash landing, a failure, or a “waste of taxpayers money.” That couldn’t be further from the truth. SpaceX has been developing this technology on their own dollar and brilliantly testing their landing procedures after the primary mission has been fulfilled. In other words, they got hired to get something into space, as long as that is completed, they can do whatever they want with the remnants. So while customers are paying them to launch a payload into orbit, they’ve been attempting to land the first part of the rocket back on earth, virtually free of additional cost. Despite how violent this looks, it’s actually a huge success. It doesn’t take much beyond the raw numbers to understand how incredible even hitting the barge is. The rocket is at 300,000 feet traveling at over 4,000 mph when it begins its decent. It does three precisely controlled burns on it’s way down to maneuver and control its descent. The Falcon 9 v1.1 is fitted with landing legs and control fins to help steer the rocket on decent. To hit something the size of a football field without wings while traveling at mach 6 from that altitude is simply amazing. They would have probably made a successful soft landing if they hadn’t run out of the hydraulic fluid that powered the control fins. Without the control fins, they were unable to maintain a stable vertical position and therefore couldn’t control the landing. So not only have they had to develop a whole new system for landing a rocket, they also needed to invent a way to land a rocket far away from population and return it. Seeing as NASA/Cape Canaveral aren’t too keen on having companies shooting 13 story missiles at their base, they’re required to make a successful landing or two out at sea before they’re given permission to try to land on the ground. This brings us to what I think might be one of the most underrated and most unusual developments the space program has seen in a long time. The Autonomous Spaceport Drone Ship (ASDS). 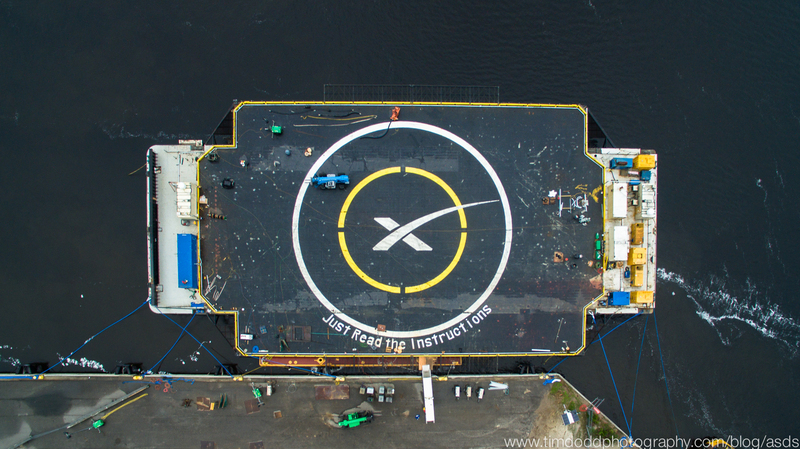 Elon Musk lovingly named it “Just Read the Instructions,” after Iain M. Banks’ Sci-Fi book, “The Player of Games.” This 300 x 170 foot barge is held stable by 4 stabilizers that can keep it level and steady even in massive waves. 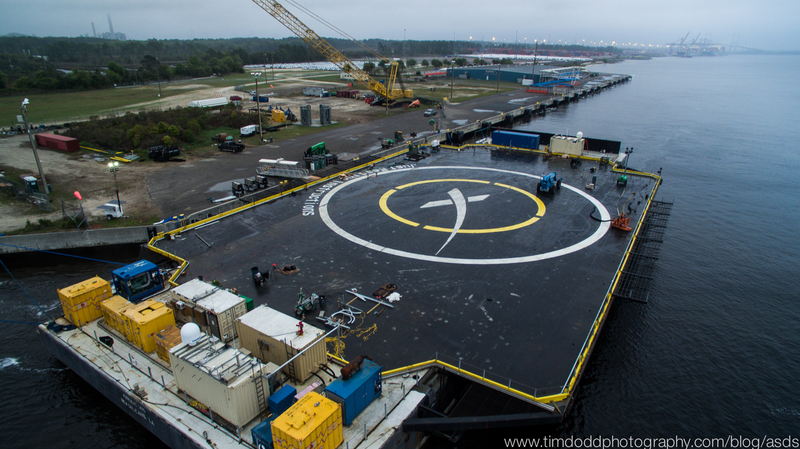 Space X has only attempted one landing attempt in January on the barge to date. 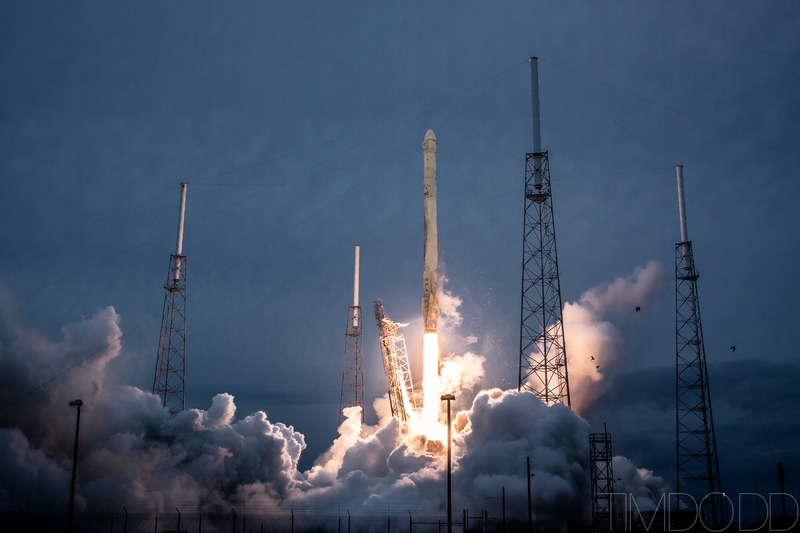 They had another opportunity in February with the launch of DSCOVR, but unfortunately, with 30 foot waves, they deemed it too dangerous to attempt a landing. Ever since then, rumor has it they have been outfitting the ship with more serious stabilizers to keep it steady in even the most extreme conditions. Disclaimer: The operator of the UAS obeyed all laws including being outside of a 5 mile radius of any airport, flying under 400 feet, flying within line of site, and not flying over populated areas. Their next landing attempt will be with CRS-6, currently slated for April 13th. You’d better believe I’ll be glued to the webcast and to www.spaceflightnow.com waiting to hear if it landed. SpaceX thinks all this effort will be worth it. They hope that by proving a rocket can be reusable, they can reduce the cost 1/10th! That would be massive. I’m excited knowing we’re getting close to a new era of spaceflight — one that is so commonplace it’s exciting again. A future where we expect to hear about exciting launches happening every day to distant places in our solar system and constant trips to low earth orbit. Soon the well off will be able to purchase flights to space hotels. It might be another 30 years, but with companies like SpaceX taking it into their own hands, we really might be on the right path. I’ll leave you with this picture. 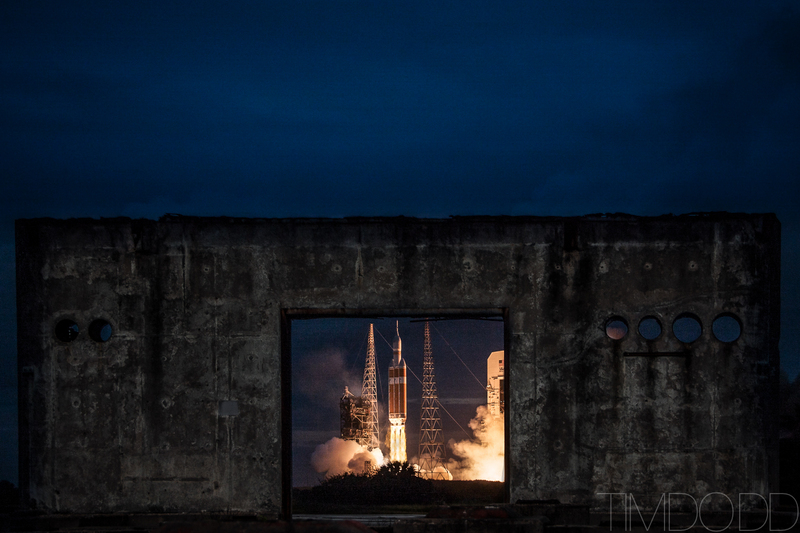 This is NASA’s first test flight of their new manned capsule, Orion. The wall in the foreground is from the test site of the Apollo program which took man to the moon. Hopefully someday we’ll look at Orion as an amazing spacecraft that helped take us to new worlds. Great video! I found it from a post on nasaspaceflight.com. Thanks for making it!